"The world will, for the first time in history, move from being mostly poor to mostly middle-class by 2022, the Organization for Economic Cooperation and Development projects. Asians, by some predictions, could constitute as much as two-thirds of the global middle class, shifting the balance of economic power from West to East. [...] "I would expect that as the global middle class gets transformed by the entrance of hundreds of millions of Indian, Brazilian, and Chinese families, the concept of what we see as the middle-class values may change," says Sonalde Desai, a sociologist with the National Council of Applied Economic Research in Delhi (NCAER). "Historically, sociologists have defined 'middle class' as those with salaries…. I think 'middle class' is very much a state of mind." [...] That presents opportunities both for local entrepreneurs and multinationals -- and could change the products available to the West. [...] "As companies have begun to sell into emerging markets, they've had to innovate – both multinationals and local companies. They've learned to do things at a much better value-to-price ratio," says Ms. Stephenson, coauthor of a 2010 McKinsey report on emerging-market growth. "Now, what you're starting to see is a lot of that innovation flow back. These new low-cost innovations are beginning to disrupt Western markets. The emerging market story is really a global story." Many compelling lessons to be learned here! The arsenic poisoning in Bangladesh. One of the largest mass poisoning in history. Name History ~ Map Describing Root Origins! Fair Shares ~ African Participation in Bonanza! Peyton Shares the Air ~ Anatomy of Niche Meme! Rio Cycle Chic ~ Lovely Brazilian Movements! Africans Mobilized ~ A Tele-Economic Revolution! Cyberpunk ~ Vintage SF Visions of the Future! Auteur vs Committee ~ Who Decides on Designs? Vertical Farms ~ Feeding An Urbanized Planet? Latin Characters ~ Evolution of the Alphabet! Russky Island ~ New Vladivostok Developments! Lovely Inhabitats ~ Green Design Delighters! It's Japan's Cup ~ Very Exciting Football Finale! Desert Chill ~ UAE's First Ice Cream Trucks! Saving Valentina ~ Great Whale + Human Tale! NatSciDemos ~ Harvard's Lecture Demo Videos! CrazyFlie ~ Custom Tiny Quadcopter Fleabot! Bike Fixtation ~ DIY Self-Repair Vending System! Happiness Store ~ Mr Beam's Coca Cola Promo! Dream Great ~ Johnson Sirleaf Says "Think BIG!" Picturing Science ~ AMNH Exhibit on Imaging! Minecraft.Print() ~ Easy 3D Object Fast Fab'ing! Ocean Sky ~ Cherney's Astronautical Timelapse! Zoobotics ~ Economist on Animal-Like Robots! Farming Fish ~ Is It the End of the Line? New Africa! ~ Guardian Remaps Planet Earth! South Sudan ~ "Justice, Liberty, Prosperity" Now! Penthouse ~ Tasty Images of Well-Built Beauties! Synthetic Organs ~ First Successful Transplant! Lions Tree ~ NatGeo Spots Amazing Pride Photo! Net Dynamics ~ Key Patterns on the Interwebs! Saturn's Superstorm ~ Gigantic Weather Pattern! Grand Inga Dam ~ African Congo Hydropower! Carnivore Girls ~ Japan's Raw Meat Sushi Lovers! Star Chart ~ SciAm Shares Stellar H-R Diagram! 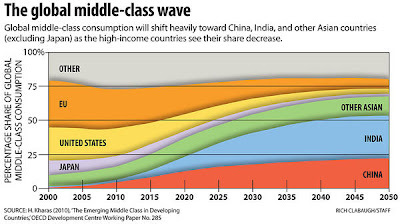 Emerging Markets Century ~ van Agtmael's Idea! Poetry in Motion ~ Kim Taylor's Stroboscopics! Vital Inhabitats ~ Latest Greenscraper Designs!